What parameters are appended in the code Center? The publisher category selected on the General tab and applied via a popup. New entries can be defined so that you fit their organization. 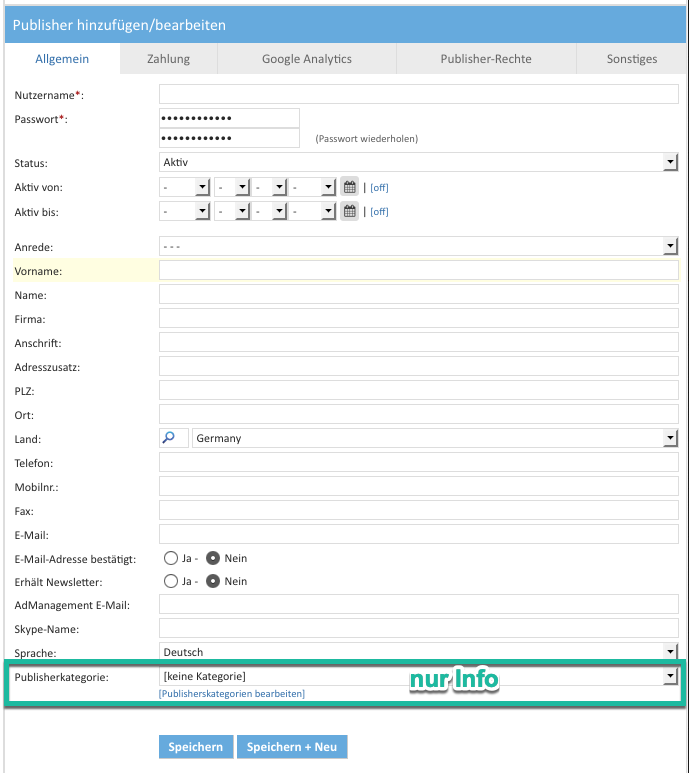 The publisher categories are used for internal information and has no other function. Content categories are only relevant for the transmission of demand partners and otherwise have no need to be maintained. Website category is for internal information and has no other function. When are maintained in campaigns categories, then Exclusions can be set for certain categories on the publisher side. For the campaigns, the categories on the General tab will be maintained. 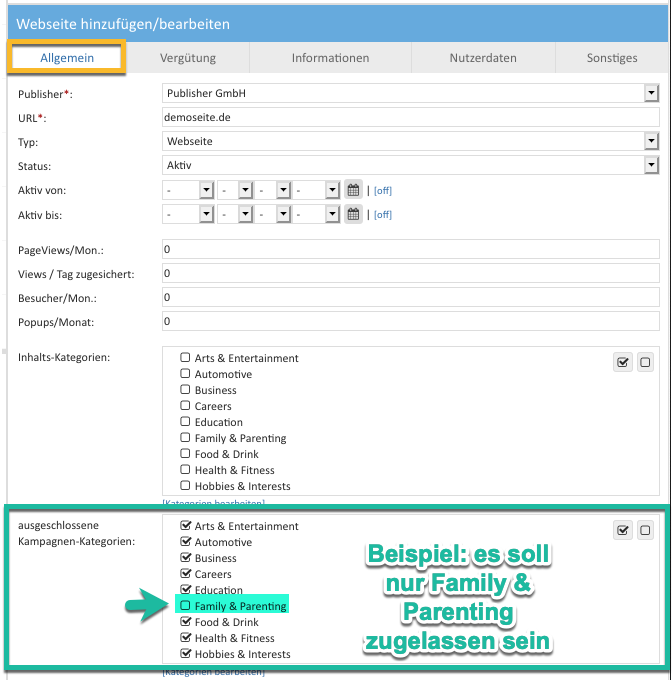 Campaign Demo Werbmittel is classified as Family & Parenting. 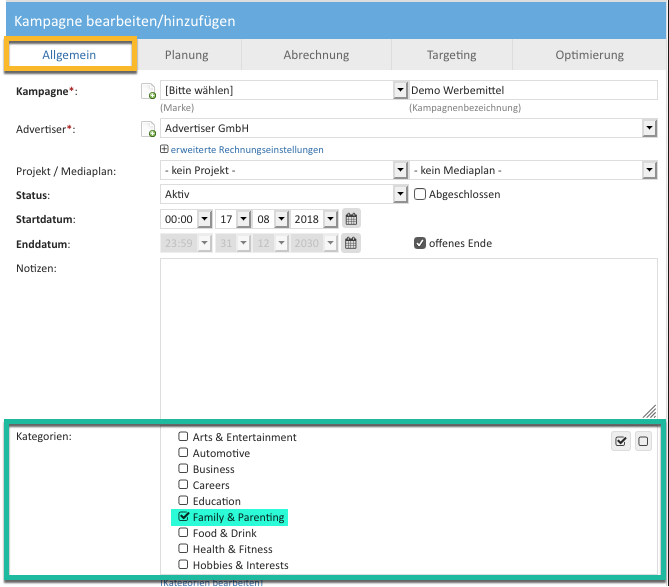 The website demoseite.de want to run only campaigns from category Family & Parenting. For this, all categories were down to Family & Parenting excluded. 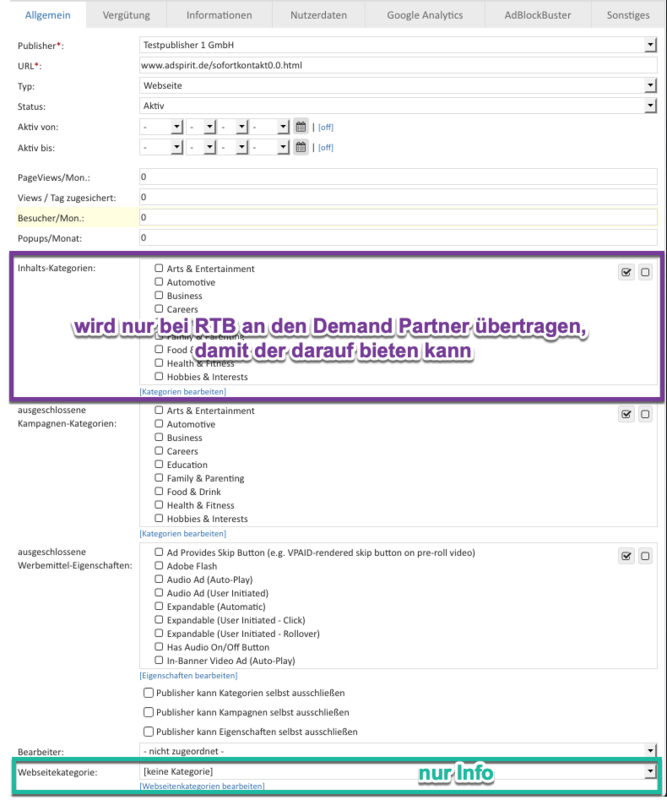 Demo campaign advertising material is classified as Family & Parenting, and thus may be considered for delivery on the website demoseite.de.